Each year, Dr. Patel attends extensive postdoctoral studies in clinical dentistry, enabling him to provide some of the latest advances in dental technology, and comfort, for your family – including CEREC® same-day crowns and mini dental implants. 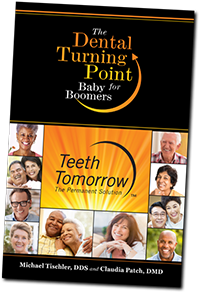 I love TDC and highly recommended them to anyone needing dental work or dentures. Dr. Patel and every member of his staff are very caring, thorough and do great work! It is always a joy to see his friendly staff -Laura A. Best and most advanced dentist for a hundred miles any direction I believe. Wonderful staff, and he stands by his work! I am thrilled to have found this place! -Heidi R.
They did an excellent job. Had an extraction, root canal, and a cantilever bridge put in. It was my front teeth, so it had to look good. And it did. They took their time and did it right. Everyone from the receptionists, to the people fitting my bridge, to Dr Patel acted with care and professionalism. I will say that being I have no insurance, dental work is expensive. So see your dentist regularly, so you don’t have to have done what I had to. Thanks to the entire crew at Thayer Dental Care. -Eric G.